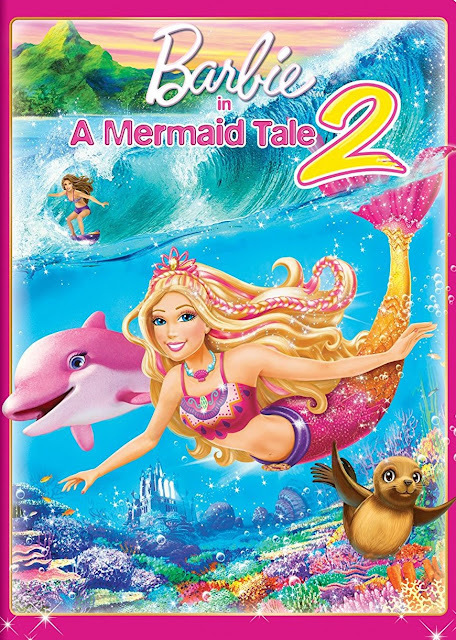 The animated movie A Mermaid Tale 2 finds Barbie acting as the character Merliah, a champion surfer who also happens to be a mermaid and a princess. "Anything is possible when you stay true to yourself!" Fans of Barbie and her adventures will want to own this 2013 animated Barbie movie and probably the first movie, too. 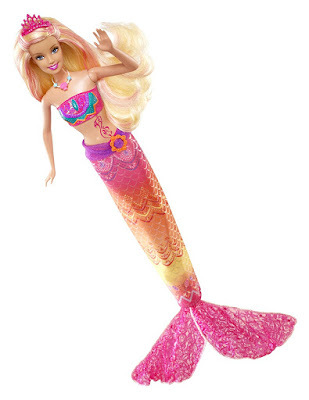 I am also sure that they would like to own this mermaid-themed Barbie doll. Put the two items together to come up with a great gift set for a young Barbie fan. If you would like to put this gift set together for a wee one in your life, you will find the Mermaid dolls on Amazon by clicking here and the movies by clicking here. Order your copy of Barbie in a Mermaid Tale from Amazon here. Find the mermaid Merliah Barbie doll here. The Barbie Andy Warhol Doll. I love many PBS Masterpiece productions and sat down with my husband to watch DARK ANGEL not quite knowing what I was getting into. 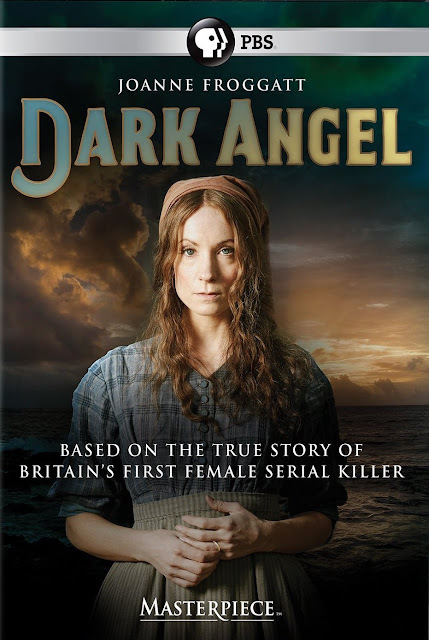 When you watch this show, you need to know that this film is based on the true story of Britain's first female serial killer. Knowing that fact lets you know that what you are about to see is not a lovely, uplifting film but rather a very dark one and helps make sense of the number of deaths that occur fairly early in the film. Joanne Froggatt, who played lady's maid Anna Bates on Downton Abbey, plays the notorious Victorian poisoner Mary Ann Cotton who was raised in the northeast England coal fields. RECOMMENDED? Yes, I will recommend this film for fans of period pieces and the history of Britain. 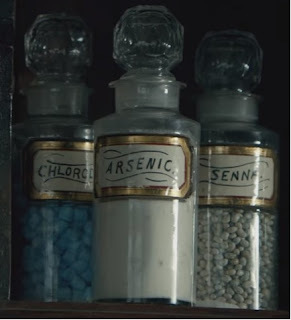 Be aware that there is sexual content and multiple deaths though not of the bloody and gory kind they but rather the violent result of arsenic poisoning. How many people did the real life Mary Ann Cotton kill? The tally is not and will never be known though it is thought to be between 13 and 21. We lost count in the movie of the total number of people she killed in the film version of her story. Buy Dark Angel on Amazon. Read about the real Mary Ann Cotton on the websited devoted to her story. Elizabeth Taylor was definitely an icon. She left us in 2011 but because of her amazing beauty, talent and incredibly long career, she left us with some very memorable movies. This page is dedicated to the BEST ELIZABETH TAYLOR MOVIES. It includes some movies that are important for different reasons like There's One Born Every Minute in which Taylor made her acting debut. You will find the Liz Taylor movies that you have heard of like National Velvet, Cleopatra and Cat on a Hot Tin Roof. You will also find a few films that are important but perhaps less well known unless, of course, you are an avid fan of 'Liz. Those films include movies like Reflections in a Golden Eye, Beau Brummell and Suddenly Last Summer. From a collection of what is said to be more than 50 movies, it is hard to pick a single best Elizabeth Taylor movie because best means different things to different people so on this page you will find 18 of the films considered to be key in Liz Taylor's career. I am truly amazed and impressed by the body of work that she left behind. I think you will be, too. Click here to see Amazon's collection of Elizabeth Taylor movies. 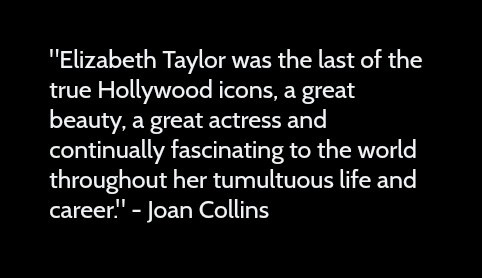 Here is an interesting and well-done video, a nine minute introduction to Elizabeth Taylor's movies. 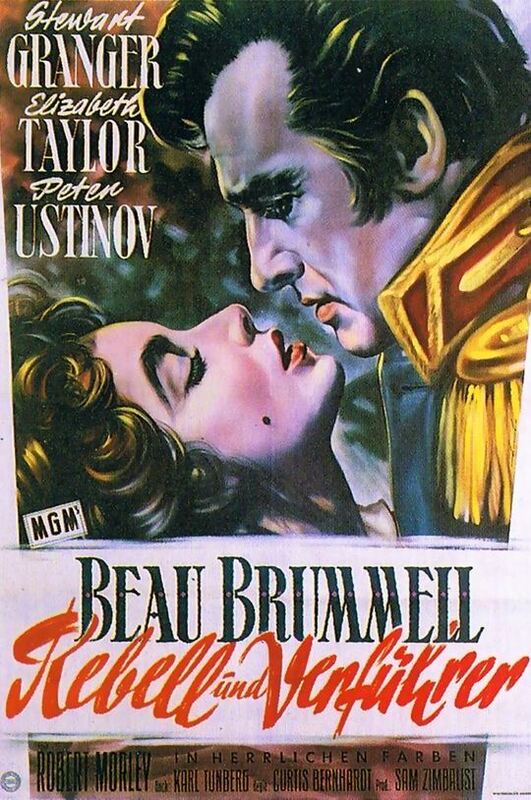 In the 1942 production, There's One Born Every Minute, Elizabeth Taylor made her screen debut. She was just ten years old when she appeared in this comedy as the spoiled rotten daughter of a man who manufactures pudding, who enters into the mayoral race and who makes a promise that he cannot keep. Unfortunately, it appears that you cannot BUY There's One Born Every Minute in any format. Not one of Taylor's best movies but definitely noteworthy since it was the first. This is a classic movie featuring a couple of faces you might recognize including Roddy McDowall and Elizabeth Taylor, the latter who was already considered a beauty at the age of ten when she appeared in Lassie Come Home. 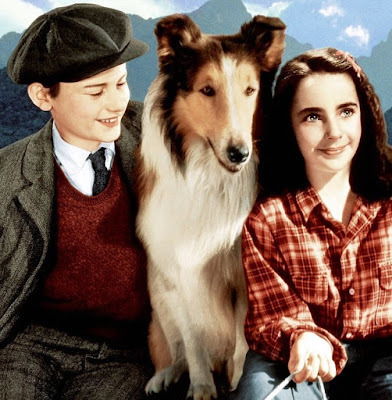 Roddy and Elizabeth help Lassie escape an unkind master. This film is great for many reasons including the fact that we see a young Elizabeth Taylor in it but one must not forget Lassie was a great actor, too. This movie delivers a romantic score, a return to simpler times and a strong message about loyalty. Order Lassie Come Home from Amazon. 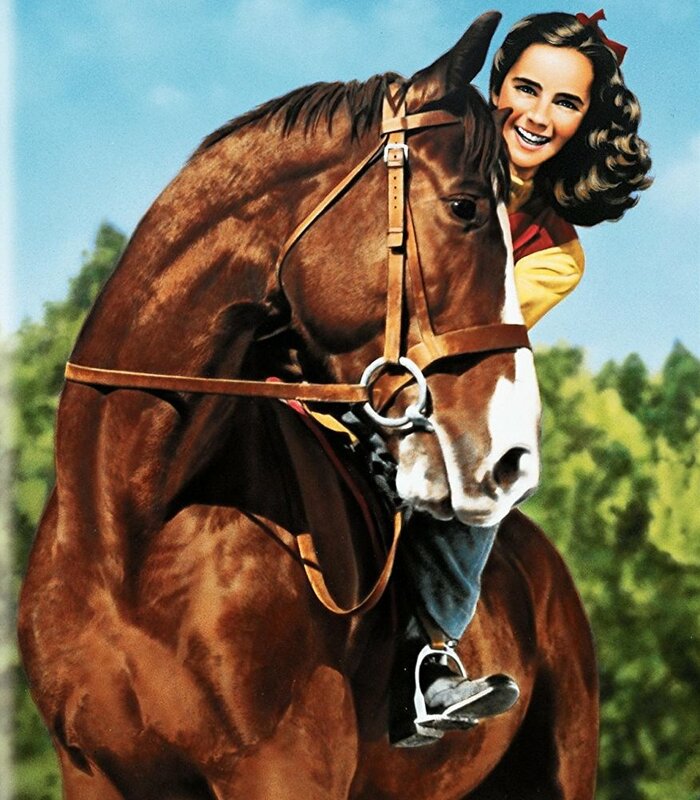 National Velvet is considered Elizabeth Taylor's break through role. She was just 12 years old when she established herself in the heart of her fans and there she would stay for the rest of her life. This classic film also features Mickey Rooney, Anne Revere (who won an Oscar as the mother), Donald Crisp and Angela Lansbury. National Velvet tells the story of a young girl who enters her horse in the Grand National Steeplechase. 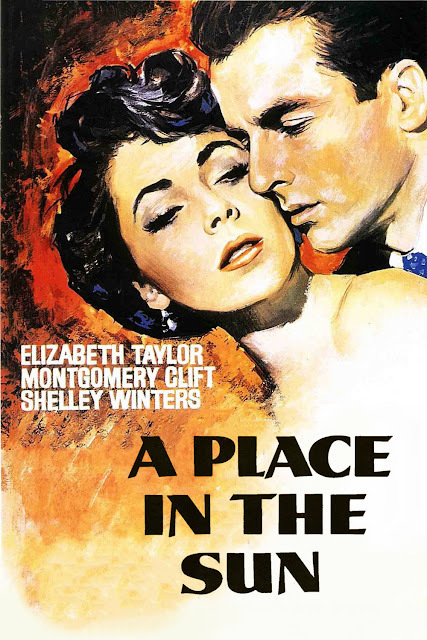 It was considered by many one of the nicest movies of its time and one of Elizabeth Taylor's best movies. Order National Velvet from Amazon. 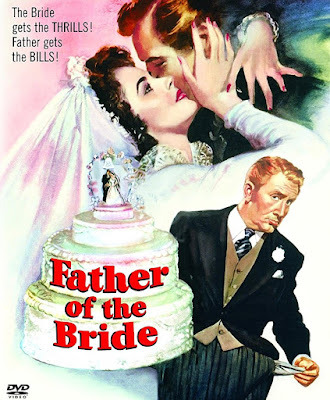 Father of the Bride is a 1950 Vincente Minnelli movie, which stars Spencer Tracy as the father who is trapped in the details of his daughter's wedding and Elizabeth Taylor as the beautiful bride. Tracy was extremely well played and won an Academy Award nomination for his "magnificent, gruffly warm and funny" portrayal of the father and Taylor's beauty as a bride was presented in all of its glory. 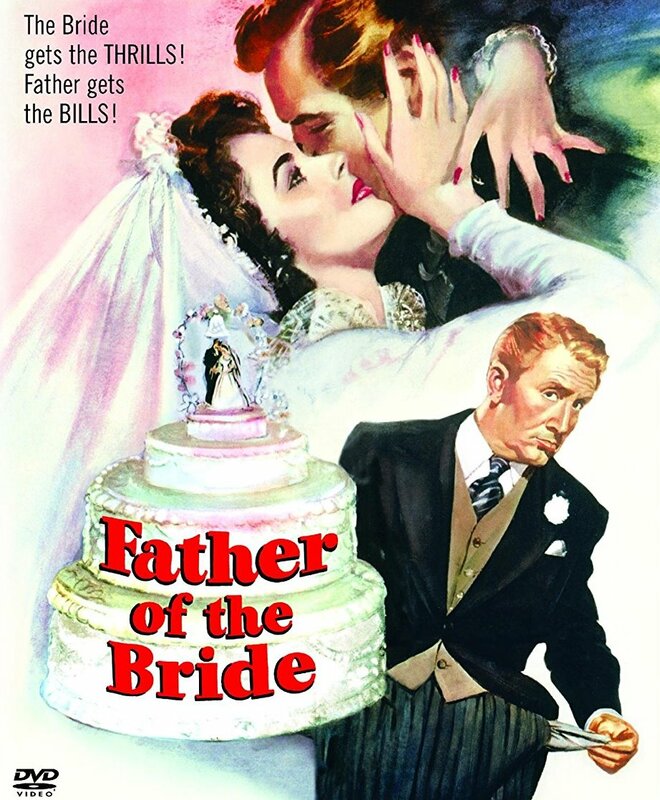 Father of the Bride also earned Academy Award nominations for Best Picture and for Screenplay. The story went on to have almost as many versions as Eliazbeth Taylor did weddings...but that's another story. Order Father of the Bride from Amazon. A Place in the Sun is the 1951 movie that Kenneth Turan, movie critic for the L.A. Times discusses in the video shown above as THE Elizabeth Taylor role he would recommend, if he had to chose just one. He highly praises Taylor's performance in this movie saying that she had a "young honesty and captivating naturalness." He said that this movie featured an extraordinary, standout performance by Taylor and that she was able to handle some extremely close up shots that many actresses would not have been able to handle -- from a beauty and a talent perspective. The Amazon reviewer says that, "Taylor makes a strong impression, but Winters is awfully good in the less-glamorous role. The tone of the film is oppressive -- the film doesn't exactly breathe with possibility -- but there are lots of good reasons to give this movie a visit." If you decide this is the film to see based on Kenneth Turan's recommendation, be aware that it is not an upbeat movie. Order A Place in the Sun from Amazon. 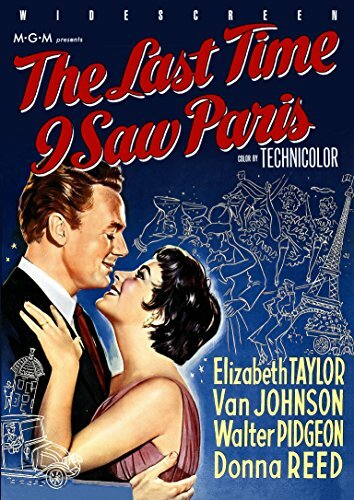 Starring Elizabeth Taylor and Van Johnson, The Last Time I Saw Paris is F. Scott Fitzgerald's love story which tells of a G.I. who wants to be a writer who falls in love with alcohol when his book is not well received. Elizabeth tries to protect him from his desire to self-destruct by showering him with love. Read more: The Last Time I Saw Paris movie review or order your copy from Amazon. Beau Brummell has not been released on DVD (in North American format) and is therefore only available on a somewhat rare VHS videotape or by rental through Amazon by clicking here. 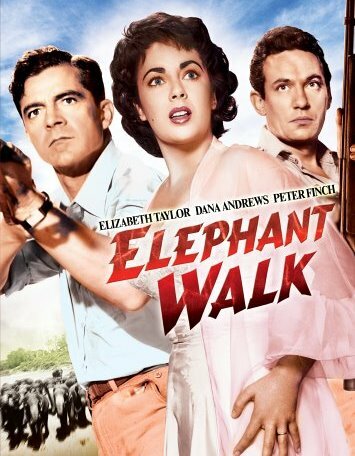 In Elephant Walk Elizabeth Taylor plays a newlywed who goes to a tea plantation and falls in love with someone else. Love does not turn out to be the big problem. Instead, it is the cholera epidemic, drought and thirst driven elephants that cause the big issues. Elephant Walk is now available on DVD or as a video rental from Amazon. Order Elephant Walk from Amazon. 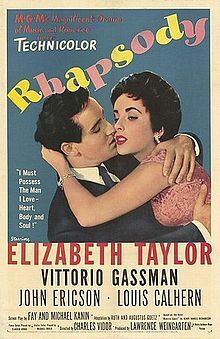 In Rhapsody, Elizabeth Taylor is a young woman who is in love with two men. She goes abroad with a violinist but meets a pianist and must pick between the two. This is a romantic movie filmed partly in Paris, Zurich, St. Moritz and Rome. My kind of movie, well at least the travel part sounds like my kind of movie. I am perfectly content with the one man in my life, LOL. Suddenly, Last Summer has an impressive lineup which includes Elizabeth Taylor, Katharine Hepburn, Montgomery Clift, Albert Dekker, Mercedes McCambridge and Gary Raymond. The story is that of psychiatric doctor in the 1930s and a female patient who is a lobotomy candidate because she witnessed her male cousin die in Spain the previous summer. 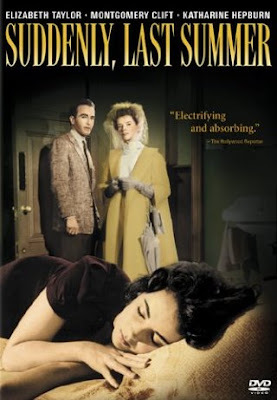 Order Suddenly, Last Summer from Amazon. Elizabeth Taylor won an Academy Award for Best Actress for her role in BUtterfield 8. It featured Taylor and Laurence Harvey and was based on a 1935 John O'Hara novel but the story is said to only slightly resemble the novel. Taylor plays a model with loose morals who has a chance to change her ways when she meets and spends time with a man who married for money and is unhappy about having done so. They fall for each other but have to defeat some of their own problems. Amazon calls it a "big boozy melodrama, full of gorgeous clothes, catty comments and emotional showdowns." Taylor is said to do a great job of being overblown and sincere at the same time and her portrayal of the emotions of grief and anger are considered immediate and genuine. 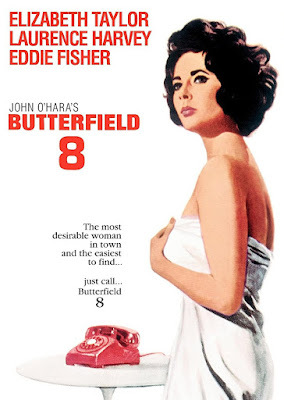 If you are wondering about the title of BUtterfield 8, that is a capital B and a capital U and then the number 8, it apparently comes from the old telephone exchange names in the United States and Canada. Until the 1960s, telephone numbers were often referred to by a name. Wikipedia says that BUtterfield 8 "provided service to ritzy precincts of Manhattan's Upper East Side." Dialing a B and a U are equal to a 2 and an 8 and when you add the 8 already mentioned in the name, you get the number 288. Order Butterfield 8 from Amazon. 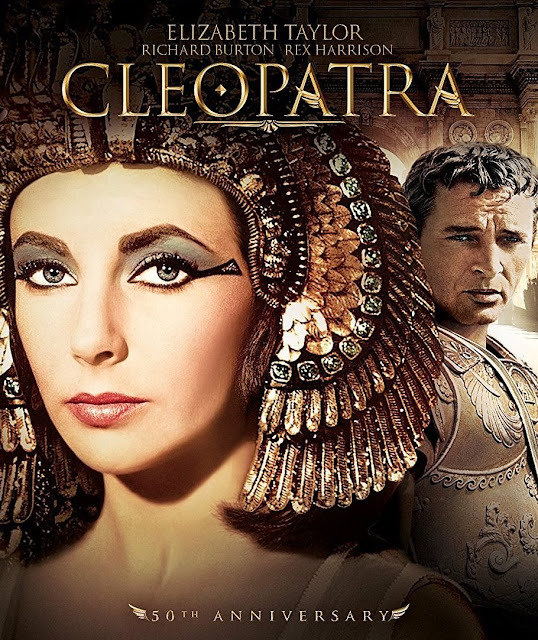 Considered one of the most lavish films ever made, Cleopatra tells the story of the Queen of the Nile and her lovers, Julius Caesar and Mark Antony. Richard Burton and Rex Harrison are considered to have given excellent performances but Elizabeth Taylor was definitely the star and this is one of the most glamorous roles she took on during her lengthy acting career.Cleopatra won Oscars for cinematography, sets and special effects. Amazon says, "Bolstered by a talented supporting cast and utterly stunning backdrops, here is a truly epic portrayal of the woman who conquered two of Rome's greatest soldiers, affected the course of history, and became synonymous with beguiling beauty." 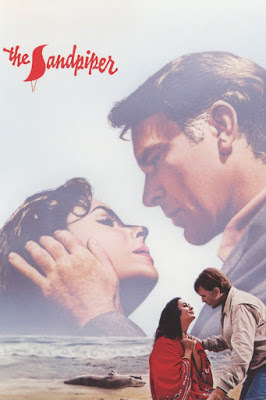 1965's The Sandpiper is an Elizabeth Taylor and Richard Burton movie which also stars Eva Marie Saint and Charles Bronson and is directed by Vincent Minnelli. It's a small town story of illicit love between a single mother and a married minister. The mother shocks a private school system and its Episcopalian priest with her bohemian ways but eventually the woman and the priest are attracted to each other. Order The Sandpiper from Amazon. 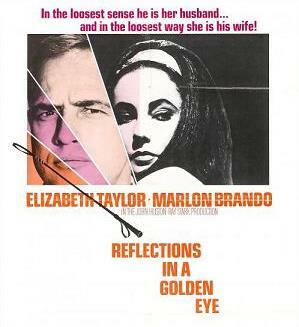 Reflections in a Golden Eye starred Marlon Brando, Elizabeth Taylor, Brian Keith and Julie Harris. It tells the story of these and two other characters including their dark secrets, failures and obsessions. It takes place in a military camp and shares the story of Captain Weldon Penderton and his wife. Reflections In A Golden Eye was supposed to have featured Montgomery Clift. However, he passed away before the film started and Marlon Brando eventually took the spot. Wikipedia says that this movie was originally put out with all the scenes tinted golden and with one object colored normally. It was confusing to audiences so it was withdrawn. I think it would be interesting to see that effect today. Order Reflections in a Golden Eye from Amazon. Elizabeth Taylor won her second Academy Award for Best Actress for her role in Who's Afraid of Virginia Woolf. Who's Afraid of Virginia Woolf is a 1966 movie adapted from a play of the same name featuring Elizabeth Taylor, Richard Burton, George Segal and Sandy Dennis. It was extremely well received and was nominated for an Academy Award in every category possible (thirteen) and won five of them including the Academy Award for Best Actress for Elizabeth Taylor (her second) and the Academy Award for Best Supporting Actress for Sandy Dennis as well as for Best Art Direction, Cinematography and Costume Design. Elizabeth Taylor was brash, drunk and frustrated as the wife of a university academic. Richard Burton was the history professor who happened to be married to the college president's daughter. George Segal and Sandy Dennis played the younger couple who had no understanding of the psychological games that they were being drawn into. Amazon Customer K. Harris calls this movie "one of film's greatest performances" and says that it is one you should not miss. She calls Elizabeth Taylor a wonder especially in this role when she is not a beauty but rather a "desperate, vicious, sexual, middle-aged hag." With Richard Burton as a hen-pecked husband, George Segal as the rival and Sandy Dennis as the naïve wife, this is a movie you should NOT miss. 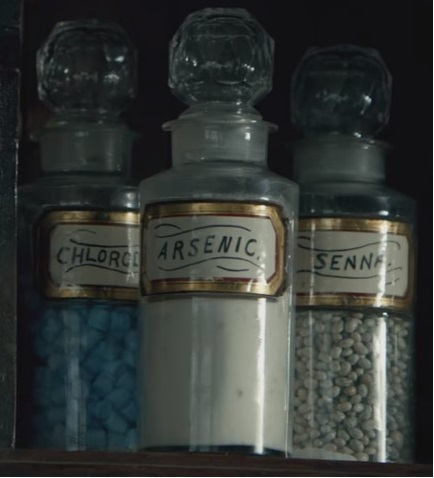 Harris closes by saying that this movie is also funny "a wicked, nasty, bitterly hilarious story" and that every adult who loves "awesome entertainment, great writing and magical performances" should see. 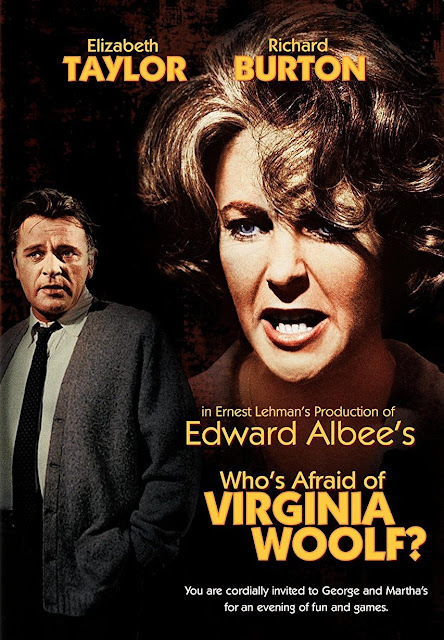 Order your copy of Who's Afraid of Virginia Woolf from Amazon. A BOXED SET CONTAINING FOUR OF ELIZABETH TAYLOR'S BEST MOVIES: NATIONAL VELVET, FATHER OF THE BRIDE, CAT ON A HOT TIN ROOF AND BUTTERFIELD 8. If I were looking to buy a number of her BEST movies, I would consider buying this set, which covers almost thirty years of Elizabeth Taylor's career starting as it does in 1944 with National Velvet and ending in 1960 with Butterfield 8. 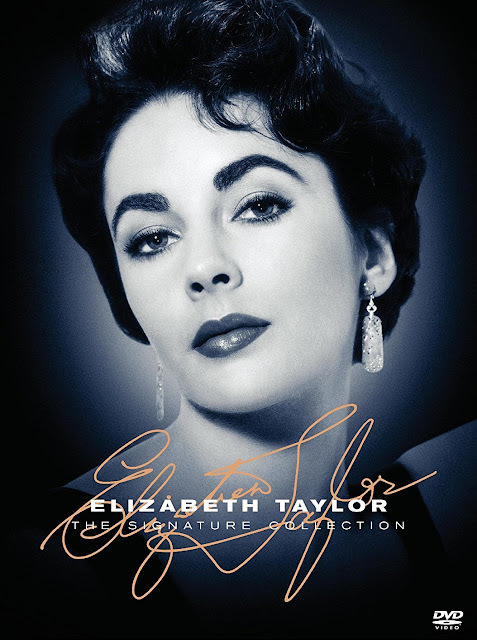 Order your Elizabeth Taylor Signature Collection from Amazon. THIS BOXED SET INCLUDES WHO'S AFRAID OF VIRGINIA WOOLF SPECIAL EDITION, THE COMEDIANS, THE SANDPIPER AND THE V.I.P.S. 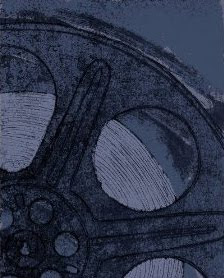 This four movie set features films from the 1960s, their heyday and includes Who's Afraid of Virginia Woolf (for which Taylor received an Academy Award), The V.I.P.s, The Sandpiper (which received an oscar for the song The Shadow of Your Smile) and The Comedians. 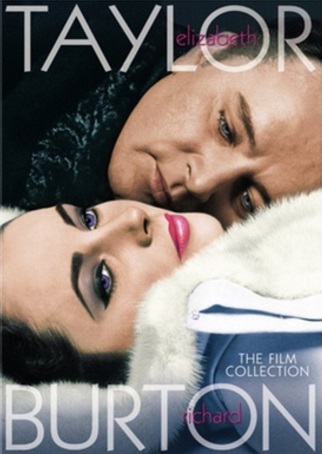 Order this Elizabeth Taylor and Richard Burton Film Collection from Amazon. What do YOU think are the BEST Elizabeth Taylor movies? 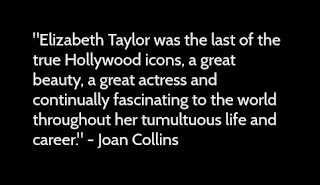 With the passing of Elizabeth Taylor on March 23, 2011, there is a heightened interest in everything and anything to do with this beautiful and legendary woman. I have been listening with keen interest to the news about Liz #5, one of Andy Warhol's.. 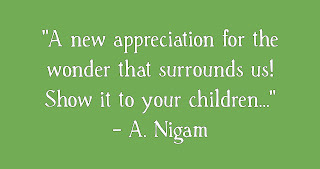 Author's Note: This page first written elsewhere in 2011. The Founder is a 2017 movie based on the true story of the McDonald's restaurant chain. How much is true and how much is fiction is not clear to me but the story is very interesting and tells how one of the world's biggest fast food chains grew from one tiny location in 1955 to become a restaurant that is recognised around the world. 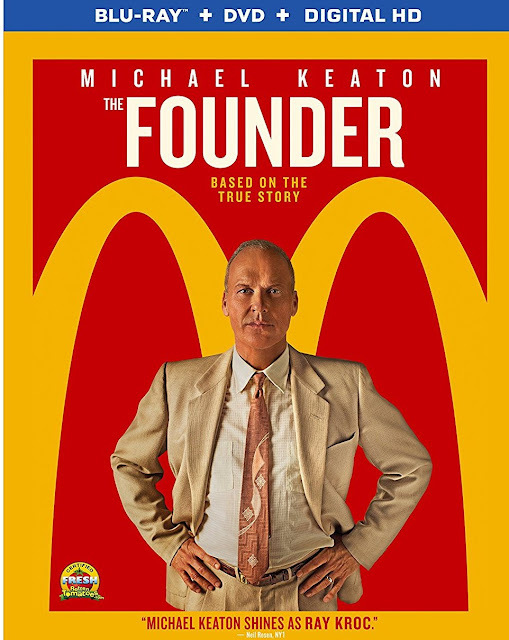 The movie is based on Ray Kroc's autobiographical book but apparently also includes references to unofficial biographies. McDonald's approved the use of their brand including buildings, uniforms and equipment as long as it was accurately represented. As the Alltime Movies video points out, Ray Kroc can be taken to be either a money making monster or an American hero. Because of the way he is portrayed in this film, I would definitely vote with the first. However, I still thought that this movie was well done and interesting because of the importance of McDonald's in America's history and pop culture and I would RECOMMEND it for anyone who likes historically based stories and who has a relationship either good or bad with McDonald's. Blogger Flixchatter thought that the film could have been paced a little faster and that the performances were a bit uneven and closed by calling it an "intriguing biopic about the dark, shady side of the American dream." I would say that pretty much sums up this movie. You can learn more about The Founder on Amazon by clicking right here where it is available on DVD, blu-ray disc or as a rental on Amazon Video . Read Ray Kroc's book: Grinding It Out The Making of McDonald's. Buy Biography's: Ray Kroc Fast Food McMillionaire. "Planet Earth takes you to places you have never seen before, to experience sights and sounds you may never experience anywhere else." As this quote from the BBC says, Planet Earth will take you to some pretty impossible, truly amazing locations. It will share with you both rare action scenes and intimate moments in the wilderness. You will travel through the mountains and the rivers and you will see Earth's hardest habitats where creatures are trying to survive. 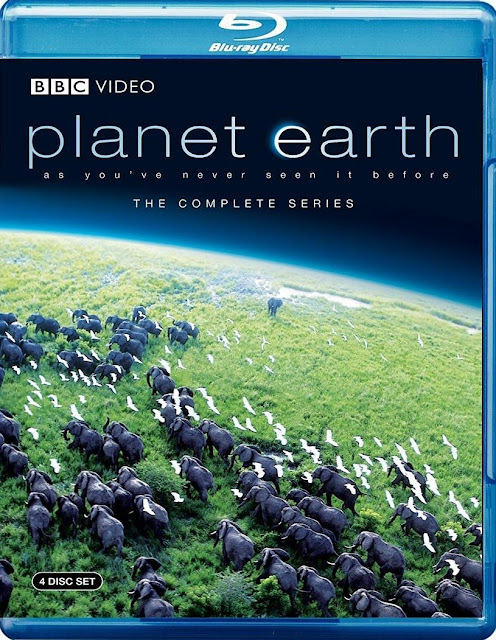 Planet Earth: The Complete Series took five years and $25 million dollars to make. It took 2,000 days and 200 sites. It took 40 cameramen and a lot of high definition technology. Was it worth it? Most definitely, the resulting television series is considered stunning and may quite possibly be the best nature series on earth. People do rave about it. Planet Earth: The Complete Series is an 11-part high-definition BBC production that includes these episodes: From Pole to Pole, Mountains, Fresh Water, Caves, Deserts, Ice Worlds, Great Plains, Jungles, Shallow Seas, Seasonal Forests, Ocean Deep. It also includes 110 minutes of behind-the-scenes information with a ten minute segment devoted to each episode. Plus, it includes a feature called Planet Earth: The Future which is a three-part, 2 1/2-hour series that looks at what is coming in the world for endangered animals, endangered habitats and even ourselves. Amazon customer Igor Mencos raves about the quality, saying he had seen it on DVD and that the Blu-ray was even better than he expected it would be. Customer Lee says simply, "It does not get any better than this" and warns that once you start watching you won't be able to stop. Finally, Brundogg says the series is "absolutely amazing." You can learn more about or buy your copy of Planet Earth from Amazon by clicking right here. It is available on Amazon Video but actually less expensive at this moment on blu-ray disc. 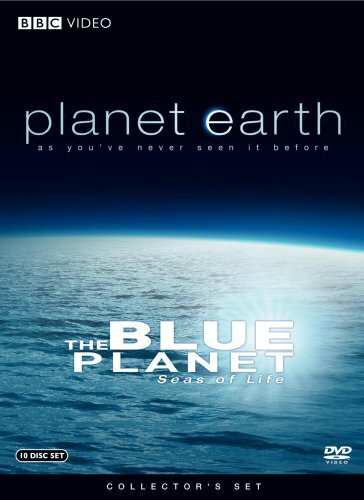 Are you a Planet Earth fan? 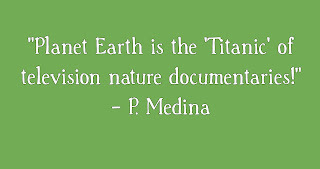 Order your copy of PLANET EARTH from Amazon.